Duke issued a previous statement about HB2 on March 24, the day following passage of the bill. That statement can be found here. Duke University is committed to fostering an open, welcoming, inclusive community that respects each individual. We remain steadfast in our policies of nondiscrimination and inclusion for all of our students, faculty, staff, alumni, patients, fans and visitors. We deplore in the strongest possible terms the new state law, HB2, that prevents municipalities from establishing laws that protect members of the LGBTQ+ community and others from discrimination and eliminates some economic advancement opportunities for underrepresented communities. 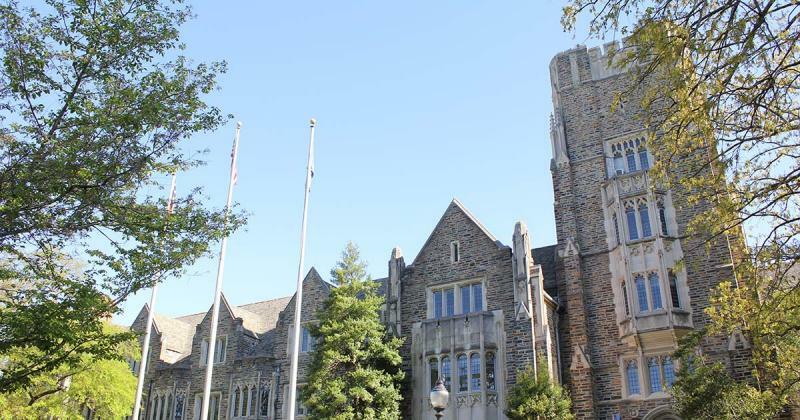 Members of Duke Law, Sanford School of Public Policy faculty and administration have signed on a letter calling for repeal of HB 2. In addition, a statement from the dean of the School of Medicine can be found here. As a result of this law, North Carolina has already suffered damage to its national and international reputation as a leader in the fair treatment of its citizens. The economic and material impact is being felt across the state in many ways, including at universities. Scholars from states and municipalities that have imposed bans on government travel to North Carolina have been unable to travel to Duke to continue vital ongoing research partnerships or attend academic conferences. Prospective students, faculty and staff, as well as Duke alumni planning visits to campus, have voiced concerns about whether they will find a hospitable environment in North Carolina. These developments have the potential to limit the value that Duke and other colleges and universities contribute to the state, namely producing trained graduates and expanding the frontiers of knowledge. We extend our concern and support to those who have been most directly affected -- the members of Duke’s LGBTQ+ community. We encourage anyone needing assistance to turn to the many support services that Duke offers. In spirit and in letter, this new law runs counter to the ideals of Duke University -- and, we believe, to those of our great state. We urge a full repeal of HB2.